PHOENIX, Ariz. – If you sometimes feel uneasy about the pace of technology and how quickly it is changing our world, you’re not alone. The exploding use of mobile devices is changing how we live and work, according to Dr. Julie Albright, especially for a generation of younger “digital natives” who have grown up with these technologies. Albright is a Digital Sociologist at the University of Southern California, who studies the impact of technology on human behavior and society. She says technology is rapidly changing how young people engage with many social institutions – including the workplace. 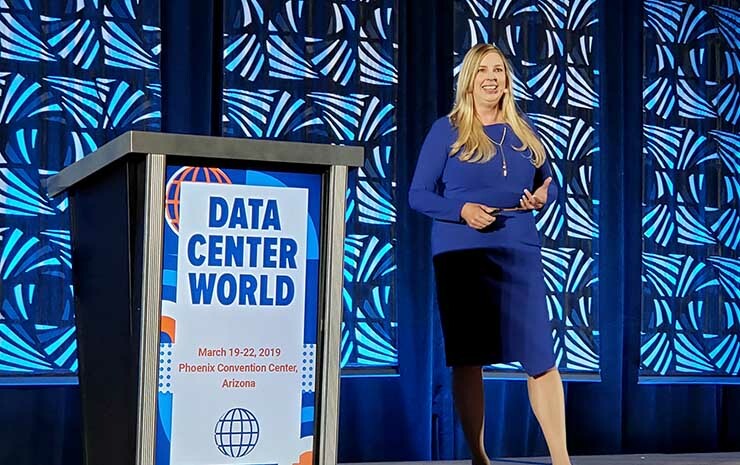 Albright has been sharing her insights at data center conferences for several years, helping the industry understand how the innovation occurring in data centers may impact the larger society. She will speak Wednesday at the Infrastructure Masons Leadership Summit at the DCD Enterprise New York event, which starts today at the Marriott Marquis. Albright says her chief concern is not that technology is inherently bad for us, but that it often moves too quickly for institutions to adapt. Many of these are disrupting the workplace, which was the focus of Albright’s talk at Data Center World. Digital natives’ relationship with technology is changing how, when and where they work, and challenging many established workplace practices. Albright’s perspective on the changing workforce flows from her larger body of work, which examines the intersection of society, behavior, and technology. Her recent research has focused on how tech-savvy younger people are becoming “untethered” from traditional ways of doing things. That includes lower rates of participation in institutions that have defined American life – going to church, getting married, buying homes, having kids. “That’s going to have some significant implications,” said Albright, who has shared her insights in media appearances on The Today Show, CNN, NBC Nightly News, NPR, and many other outlets. The Untethered Society: Our current state of technological immersion, in which devices play a greater role in mediating how younger generations interact with others, with online apps providing an additional layer of distance between consumers, businesses and institutions. The Internet of Me: A coming era in which technology brings the personalization of consumer experiences, all customized through a new universe of sensors and intelligent software, and guided by deep troves of data collected on nearly every aspect of individual preference. The Internet of Them: The economy of the near future, in which business turns to automation, robotics, artificial intelligence and digital assistants to manage many tasks previously undertaken by humans, creating significant economic displacement of traditional industries. “Digital connectivity has become a vital part of the fabric of life, and that extends to the workforce,” said Albright. Some of Albright’s early research focused on online dating and how virtual interfaces altered communications. Aspects of Tinder and other mobile dating apps that offer abundant choices have influenced how digital natives think about commerce and career options, she said. Younger workers are more likely to embrace “job hopping” behaviors, working shorter tenures in each position, and sampling more employers. Many expect to be able to “bring their own devices” (an IT security challenge), and have particularly strong sentiments about being able to work remotely and on a flexible schedule. “There’s a seismic wave of change tied to the ‘right to remote,'” said Albright, who noted a growing number of virtual companies such as Automattic, the maintainers of the WordPress publishing platform, which has no offices for 850 employees distributed across 69 countries around the world. But collaboration tools like Slack come with some of the challenges seen in social media, including “flame wars” and the ease with which workers say things online that they would be far less likely to express in person. There have also been structural changes in the type of jobs, which is a function of both the untethering impulses of digital natives and the cost-saving strategies of Corporate America, which have both served to erode full-time employment. The End of Traditional Jobs? Many futurists and technologists see value in proposals for universal basic income (UBI) as an antidote to AI’s potential to eliminate human jobs. Jobs actually serve a much larger function, providing workers with a sense of identity and purpose, social standing, and a way to organize their day. “Current plans for UBI don’t address this,” she said. 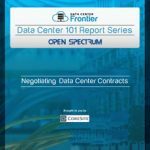 As for the data center industry, it’s one of many fields in which jobs will require higher levels of technology education. “You need to be thinking about how we educate the workforce of the future,” Albright said.